Being part of The Group provides you with direction, support, guidance and assistance in some of the most important aspects of running your garden center. You'll find proven methods, techniques and principles coming straight from centers in The Group as well as from a carefully selected group of Service Providers. Communication plays an important role in providing Group centers with valuable, business building ideas. We keep you in touch through a variety of channels. Once your company becomes part of The Group, you will have access to a password protected section of this website. On these pages you will find a constant update of information exclusive to Group centers. Visit the links below for samples. Weekly GROUPtalk enews, email and website links to all Group centers, Service Providers, 'Partners for Success' and Preferred Vendors plus thousands of photos showcasing the best ideas from Group centers across the country weekly sales results from all participating Group centers throughout the country with a Weekly Department Review report that compiles sales, promotions, weather and customer shopping patterns articles written by Service Providers exclusively for Group centers detailed information about upcoming Group events, workshops, tours and gatherings as well as notes and photos from recent Group events, workshops, tours and trade shows. Communication tools keep you in touch with the latest Group happenings plus information about seasonal business planning and market observations you can immediately apply to your business. At the heart of The Garden Center Group is sharing. A big part of that sharing are two very important financial sharing programs, the Weekly Depart Review (with sales and transaction data) and the Annual P&L Study, both managed by Steve Bailey. The basis for these two sharing programs is our Standardized Chart of Accounts, developed over nearly 20 years. It is through this account list that all the benchmarking and comparisons are produced. Being part of The Group allows you to participate in an industry exclusive, now in it's 17th year, with more than 120 garden centers from all over the country sharing their sales figures on a weekly basis for more than 25 product/department categories. You'll find areas of opportunity to help each department of your garden center perform at a progressively higher level by comparing sales trends and promotional results with other centers in your Sales Group as well as nation wide. There is no other benchmarking program in the industry where you can go for detailed financial information like this. Several centers have told us that this one service alone is enough to make them decide to become part of The Group. Here's what Chris Trad, owner of Trad's Garden Center, Jacksonville, Florida says about the WDR (Weekly Department Review)... "Steve, I just wanted to take a moment to voice how wonderful of an exercise it is to do the WDR on a weekly basis. It has given me a lot of data to work with so I can tweak things in a far more effective manner than before. Kudos! " Here's what Sig Feile, owner of Atlantic Nursery - Freeport, New York says about the WDR (Weekly Department Review) ... "Instituting margin reporting is the most beneficial tool for The Group ever. Everybody is creeping up which translates to thousand and thousands of dollars to the bottom line for the companies and its owners. A few centers are trailing, but I think they too will “get it”. The difference in margin from year to year is unbelievable!" Meeting and sharing financial information with Group garden centers in your region is a valuable tool for your center. The Regional Group concept fulfills that need, gathering together the best garden centers for a one-day session of discussing and comparing garden center financials and how to improve upon Profitability. These meetings are at an additional fee. Now in it's 14th year, the industry's most detailed sales and expense study to date. The analysis of financial information submitted is in a standardized format according to The Garden Center Group's official chart of accounts. Participating garden centers receive their results compared to the total Group Average and the Best Practices/High Achiever Groups Average. The results of this survey are presented each year at The Garden Center Group's Annual Fall Event. Standardized Chart of Accounts - Now Available to You! The basis for both the Weekly Department Review and the Annual P&L Study is our Standardized Chart of Accounts. It is through this account list that all the benchmarking and comparisons are produced. We share this account list with all garden centers, even when not in The Group. We hope this can help anyone needing to realign theirs chart of accounts or are just setting up a new system! Follow this link to request a link to download The Group's Standardized Chart of Accounts as PDF, along with definitions. CLICK HERE. The online exchange of information for the benefit of those who want their garden center to become or continue to be PROFITABLE! With highly focused content one topic at a time you'll get the information & feedback you need in time to apply it. This major Event, held in various parts of the country, provides you with the opportunity to meet face-to-face with other Group centers; talk with Service Providers and see the newest products from Vendors. Workshops and seminars conducted by professionals from all facets of business are short on theory and long on ideas and processes you can put right to work to help your center improve. 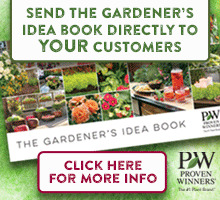 Considered today by both retailers and suppliers as THE BEST EVENT for Garden Retailers, ask for more details! Your participation in Group activities is one of the most important reasons for being "connected". This is the opportunity for you to take part in a number of meetings, workshops, training sessions, tours and corporate retreats, all designed to provide you with the information you need to help you reach both your business and personal goals. And to accomplish that task means there are times to mix business and pleasure. We believe that your business is the catalyst for what you do in life. Spend some time with us during a Workshop at one of our Group centers or at one of many meetings throughout the year at regional trade shows and you'll see what we mean. A very unique aspect to The Group is the environment of sharing information between everyone involved. If you have questions or concerns with almost any topic revolving around your business, help is as close as a call, fax or email to one of the Service Providers or to another center in The Group. Interaction between all participants is encouraged and welcomed. This is networking at it's best... between friends and people interested in your success. These business communications and professional services are only available to garden centers in The Group.